Each year, Rotary connects thousands of young people to a global network of friendship, service, and action. As members of Rotaract or Interact clubs, they learn about "Service Above Self" and make a difference in communities at home and abroad. 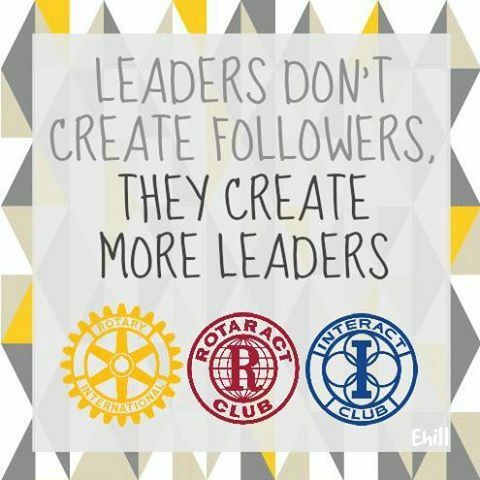 At RYLA (Rotary Youth Leadership Awards) weekends, they learn skills that will help them succeed as community leaders and in life. And students on a Rotary Youth Exchange, whether a Long-Term year-long program or a Short-Term experience lasting four to eight weeks, learn a new language, discover another culture, and truly become global citizens. Each year, 500,000 young people participate in Rotary Youth Service programs worldwide. Rotary Programs for Young Leaders from Rotary International on Vimeo. In District 6440, over 2,800 teens and young adults are involved in Rotary's Youth Programs, and thousands more participate in mentoring, scholarship, and service programs our 70 Rotary Clubs support in their communities. Click on the logo to learn more about that program, and the articles for examples of what they accomplish! Contact D6440YouthServices@gmail.com for more information.